Access to free public Wi-Fi is exceptionally convenient, especially when individuals are stuck and without a data connection. 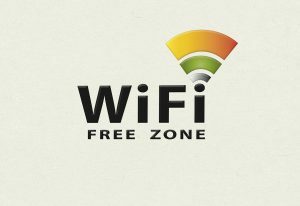 Free Wi-Fi is one of the luxuries that make travelling more comfortable, although it is not trusted by everyone and with good reason. Symantec released information gathered via a cybersecurity survey in June 2016 that revealed that millions who have used public Wi-Fi do not realise that their personal information is a great risk of being hacked or stolen. Eighty-seven percent of US consumers have used public Wi-Fi at hotels, airports or coffee-shops and the online survey participated by 1,025 individuals revealed that an alarming level of ignorance is present since 60% of consumers thing using public Wi-Fi is safe. Seventeen percent thought that websites are responsible for data protection, seventeen percent though Wi-Fi companies are responsible for securing their data and only 50% of consumers realise that they are responsible for securing their personal data. Public Wi-Fi networks are never hard to find and are prevalent in locations around the globe in everyday locations such as shopping malls, restaurants, in-flight Wi-Fi, bars, hotels, public parks, tourist attraction and unsecured home Wi-Fi networks. The top threats are the man-in-the-middle, rogue networks, packet analysers, evil twins, rogue access points, Ad Hocs, worms, endpoint attacks, soft Apps, mishandled Wi-Fi settings, hackers, and malware. The most common type of security threats is the MiM or MitM; this is when hackers intercept data exchanged between two victims via eavesdropping, one of the most commonly used tactics. Messages between two users are intercepted, and the user’s belief they are talking to each other, connections without mutual authentication protocols are the most vulnerable to MiM hacker attacks since authentication protocols are designed to ward off MitM attacks. Several threats fall into the rogue-network category of which rogue networks set up by hackers to look legit are the most common. The networks can be recognised as they usually display words such as “No Passwords” or “Free Access” to make it more appealing, these are to be avoided at all costs, since Wi-Fi in restaurants or bars have passwords in place and is only accessible to customers. These differ from rogue networks even though they are comparable in nature; rogue access points are installed on pre-existing networks in the form of wireless routers. Routers not appropriately configured are easy to break into even when the network is secure. Similar to rogue access points, evil twins are more sophisticated, designed to look legit, enabling hackers to close access points individuals trust and to create identicals, and Wi-Fi networks are particularly vulnerable to these attacks. Ad Hocs are P2P or peer-to-peer networks that connect two computers often using the same wireless connection. By using public Wi-Fi networks computers are set to search or discover new networks, allowing hackers to connect directly to user’s mobile, or laptop devices, should they be in range especially since channels will be open to alternative or new connections. This is enough to allow Ad Hocs connections, which gives hackers the opportunity to gain access to the entire network. In Wi-Fi networks the Wi-Fi provider, as well as each user, are known as endpoints, while several of the security threats comes via the connection, the endpoints are vulnerable to attacks. Hackers set up fake websites that can grant them access to the complete network. In cases where individual’s computers are not their own, they might not be aware that the hacker has gained access. Similar to viruses, worms are different in one aspect, viruses require a program to attach to in order to work, while worms can propagate by themselves. Worms can jump onto computers that do not have security in place from other devices connected to the same network. With more sufficient methods of hacking and the advancement in information technology, user errors are still one of the most general threats. Before using a public Wi-Fi network, it is necessary to check if the network was set up to ensure data protection since employees often leave the default password and user on a rooter, making the network hassle-free to access. The easiest soft access points are hotspots; users forget to switch off hotspots and the next time they connect to public networks the hotspot creates an entry point that hackers can easily exploit. Boston University techie, Mike Jones, editor for TheNextDigit is in agreement with security software developers that the easiest way to prevent attacks is by using a VPN. ExpressVPN is the fastest and one of the greatest options for public Wi-Fi security. It offers 256-bit AES encryption, zero loggings allowing users to remain anonymous and private and offer security on protocols PPTP, OpenVPN, L2Tp-IPsec, and SSTP. 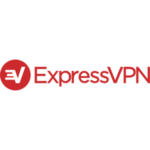 ExpressVPN have 1,500 servers located in over 94 countries, and a single subscription offers security on three different devices simultaneously, empowers users to secure tablets, laptops and phones during use at home and public locations. The service is superbly flexible and offers several options while Bitcoin is accepted. 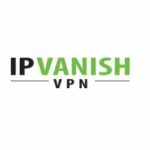 IPVanish utilises 256-bit AES encryption to provide solid public Wi-Fi protection, and all security protocols are available including L2TP/IPsec, OpenVPN and PPTP. No logs are kept, and VPN connections are fast and run smoothly. IPVanish offers users over 40,000 IP addresses, with 500 servers located in over 60 countries. Filesharing is allowed, Bitcoin is accepted, and protection is offered on two devices at the same time and is recommended by PCMag.com, PC Advisor, New York Post and TechRadar. VyprVPN is one of the most VPN services used for Wi-Fi hotspot protection and offers security protocols including Chameleon, PPTP, OpenVPN, and L2TP/IPsec. Chameleon is able to offer an extra security layer perfect for public Wi-Fi protection, and VyprVPN offer over 200,000 IP addresses and over 700 servers are located in 50 destinations. It can be used on up to five different devices, is easy to use and defeats throttling. Supported platforms include DD-WRT, ASUSWRT & OpenWRT routers, Boxee, Synology NAS, Windows, Blackberry, and Linus. Choose wisely and do not connect to any Wi-Fi network until you have verified the network name. Turn off sharing while accessing public Wi-Fi sharing. Windows and Mac devices connected to public networks can be secured by selecting a public network in Windows/Mac, which locks down the connection and ensures that no files are shared.